Ready for WTF's first birthday bash presented by San Miguel? 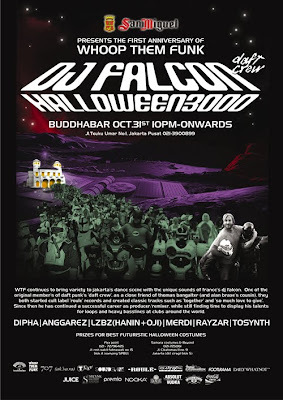 The venue is... the already spooky Buddha Bar, the time is... Halloween 3000AD... the special guest DJ is... DJ FALCON! "WTF continues to bring variety to Jakarta's dance scene with the unique sounds of France's DJ Falcon. One of the original members of Daft Punk's "Daft Crew", he's a close friend of Thomas Bangalter (as well as Alan Braxe's cousin) with whom he co-founded the cult label Roule Records as well as co-created classic tracks 'together' and 'so much love to give'. 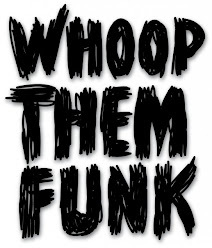 Since then he has continued a successful career as a producer / remixer, whilst still finding time to display his talents for loops and heavy basslines at clubs around the world..."